The 16th Corsican Circuit, including the Corsica Masters, Orange Blitz and BNP Paribas Youth Trophy, was held on 27-31st October in Bastia and Ajaccio. 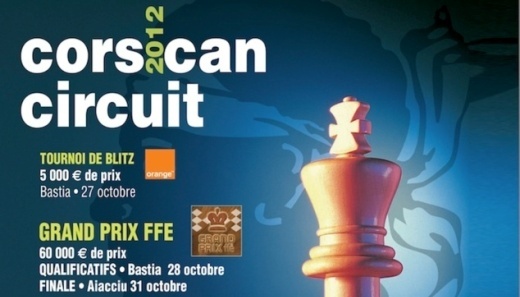 This year the Corsican Circuit is part of the FFE Grand Prix Final. The Festival opened on 27th with the 60-player simul by Grandmasters Maxime Vachier-Lagrave, Artur Yusupov and Loek van Wely. The Corsica Masters rapid tournament was played on 27th afternoon and 28th in the morning. The qualifying event had 149 participants and was played over 9 Swiss-rounds. The time control for the Masters was 15 minutes + 3 seconds and the total prize fund was 60,000 EUR. Top nine finishers qualified for the Knock-out Final: 1. IM BATTAGLINI Gabriel 2434 FRA – 8, 2-4. GM JUSSUPOW Artur 2608 GER, GM BRKIC Ante 2575 CRO and GM DJURIC Stefan 2445 SRB – 7½ each, 5-9. GM SHORT Nigel 2707 ENG, GM SHCHEKACHEV Andrei 2519 FRA, FM MASSONI Michael 2381 FRA, FM SELETSKY Grigory 2318 UKR and IM PHILIPPE Christophe 2391 FRA – 7 each etc. Between 29th and 31st the Knock-out Final rounds were held. GM Etienne Bacrot emerged the overall winner after eliminating IM Philippe, GM Gharamian, GM Vachier-Lagrave and in the Final GM Fressinet. The the 5,000 EUR worth Orange Blitz took place on 28th October. 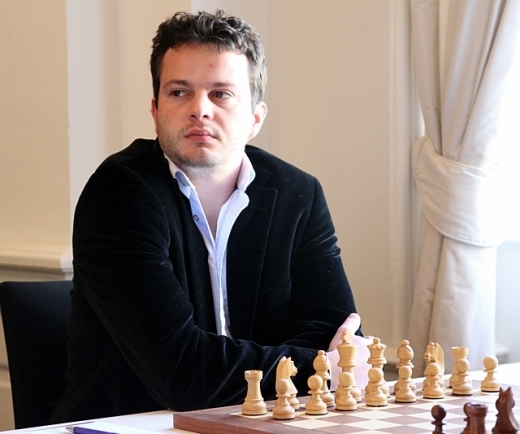 149 players, including 8 Grandmasters took part in the event. 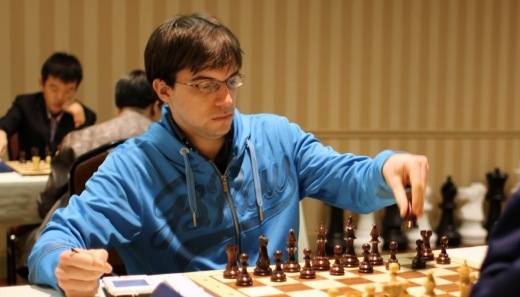 GM Maxime Vachier-Lagrave won with the Fischer’s score of 9/9. Top prizes were EUR 600, 500, 400, 350 etc. The BNP Paribas Youth Trophy offered 15,000 EUR in goods, including Macbook Air, iPads, Laptops, home cinema etc.